Fifa has confirmed clubs do not have to release players for the first rounds of 2015 Africa Cup of Nations qualifying. This is because the dates of the four matches fall outside of Fifa's calendar for international matches. This opens the way for club-versus-country rows, especially with the opening matches clashing with continental club games. The ties in the Nations Cup, Confederation Cup and Champions League are set for 16-18 May. The dates are not on the international calendar and there will be no mandatory release of players. However the group stage matches featuring the likes of Ghana, Nigeria and Cameroon do fall on dates approved by Fifa, meaning clubs around the globe must release players for these games. The president of the Namibia Football Association John Muinjo admitted he had not realised the opening rounds of qualifiers would be affected. "It is actually news to me - but moving forward, we want to concentrate on the game at hand and then take it from there," he told BBC Sport. "The possibility that clubs might not release players could have far reaching consequences. "But at the same time I do think that one has to be positive because there is nothing to be done to reverse the situation. "One should just work harder and capitalize on the situation because all countries could be affected that as well. "Now we need to focus on preparations [for the match against Congo between 16-18 May] and also start to negotiate with the clubs because they might not release players." Players like striker Edward Sadomba could well be affected by the clash of dates between the 2015 qualifiers and continental club ties. Sadomba will be wanted by his club Al Ahli Benghazi in the African Champions League and his national team, Zimbabwe. It is a similar story for Mauritania and Zamalek's Dominque da Silva as well as Tanzania's Mbwana Samatta, who plays for TP Mazembe of DR Congo. 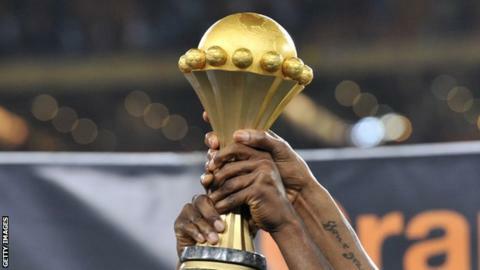 The Confederation of African Football says they will be, where possible, writing to concerned clubs asking for release of players pointing out "due to calendar constraints it was difficult to do things in another manner." However the Fifa Media Department told BBC Sport: "Release of players is only possible upon mutual agreement between the national associations and the clubs to which the players belong." As well as the continental club competitions, the South African Nedbank Cup final is set for 18 May with players from Mozambique, Burundi, Zimbabwe and Namibia set to feature in the semi-finals. The issues could continue for the remaining matches of the opening rounds with Fifa saying: "There is no obligation for the clubs to release their players on these dates." The crucial second legs of the second round of qualifiers that will decide who advances to group stages are set for 01-03 August when many clubs in Europe will be beginning pre-season training.